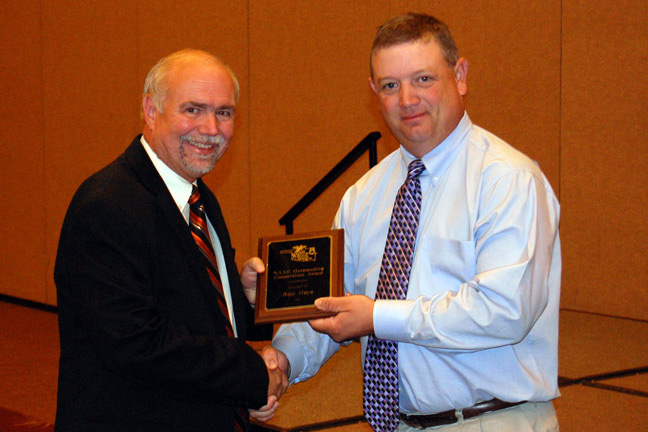 The Oklahoma Agriculture Educators Association honored veteran farm broadcaster Ron Hays with its Outstanding Cooperation Award during its recent convention in Oklahoma City. The presentation was made during the group’s business meeting at the Cox Center August 3rd. Hays has been an advocate for the agriculture community and a supporter of agriculture education and the FFA. He has worked very closely with the FFA as a judge for various competitions and in preparing students for public speaking at the state and national levels. Hays was also presented with the Region II Outstanding Cooperation Award from the National Association of Agriculture Educators. Region II encompasses Arkansas, Colorado, Kansas, Louisiana, New Mexico, Oklahoma, and Texas. The Outstanding Cooperation Award is presented by the NAAE to individuals, businesses, and organizations that have given outstanding support to agriculture education.